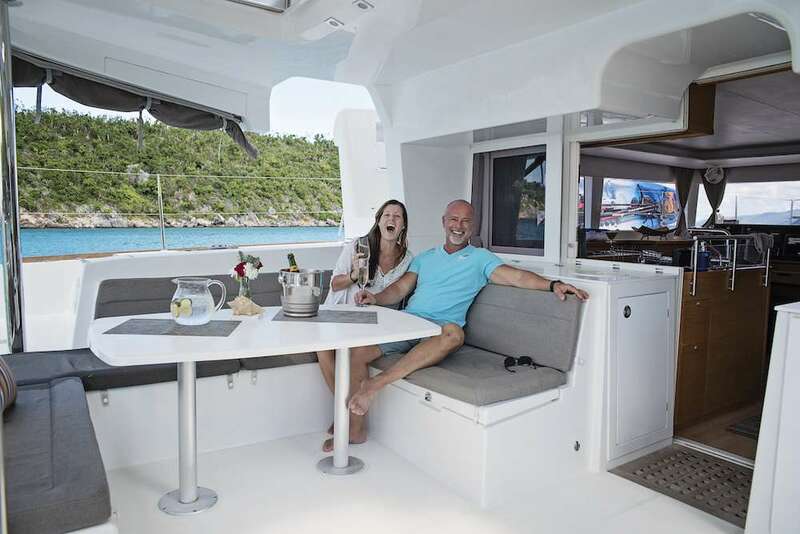 Great Adventure is a modern, bright and spacious Lagoon 450 catamaran available for luxury crewed charter in the Caribbean and based in the Virgin Islands. 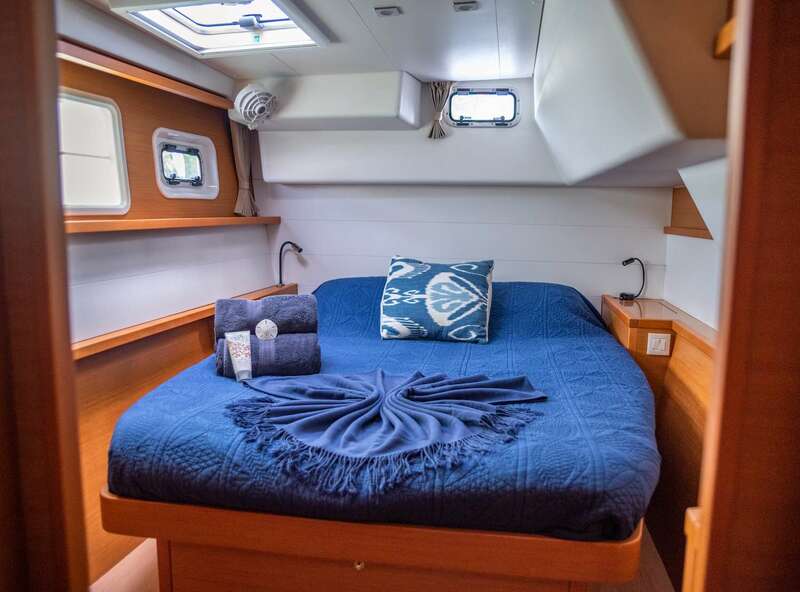 This luxury catamaran sleeps up to 6 guests in comfort and style. 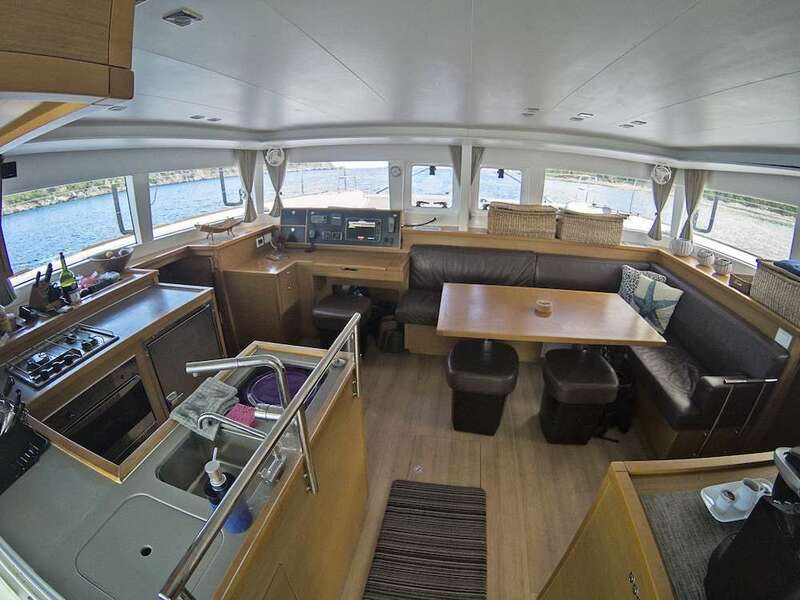 The stylish galley and saloon is tastefully designed and equipped. The saloon has wrap around windows, providing uninterrupted views during your yacht charter. There is also a chocolate leather couch in the main salon with matching leather stools. 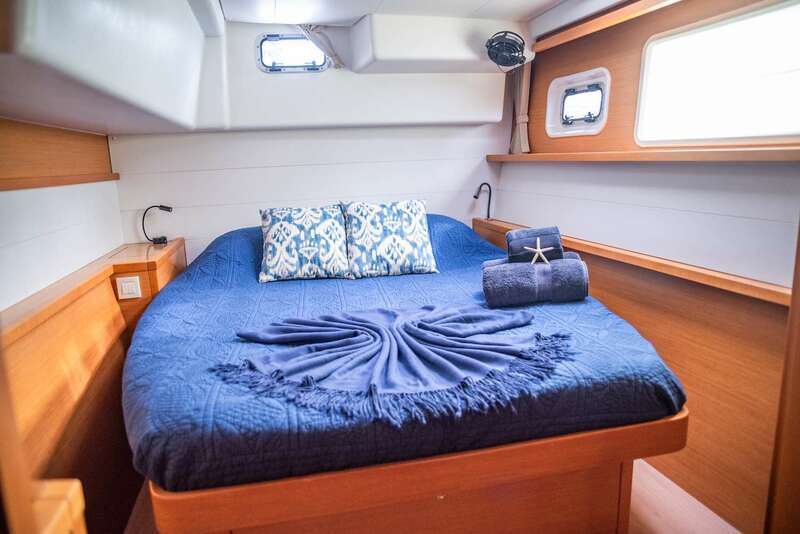 This Lagoon 450 is fully air conditioned and has a high output reverse osmosis water maker, powered either by shore power or by a whisper-quiet generator, located away from sleeping quarters making for a peaceful night's sleep during your luxury crewed yacht charter. On deck, the Lagoon 450 boasts extensive seating both forward of the saloon and aft, as well as a large swimming platform, ideal to enjoy the crystal clear waters of the British Virgin Islands. The raised fly bridge gives a panoramic bird's eye view at anchor and under sail. 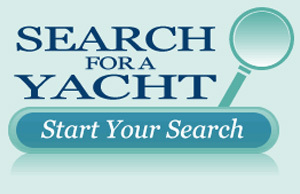 With a beam of nearly 26 feet, she is very stable, never heeling more than 5 degrees, with wide decks and recessed hatches, to make moving around the yacht a breeze and with enough space for everyone aboard to find their own favourite place to read, sunbathe or simply watch the ever changing seascapes go sailing by. The spacious cockpit comfortably sits all guests around an ample table to make dining al fresco a pleasure. There is a ventilation hatch on the bridge deck, that funnels a cooling breeze into the cockpit area. 3 Double cabins provide spacious accommodation for all. 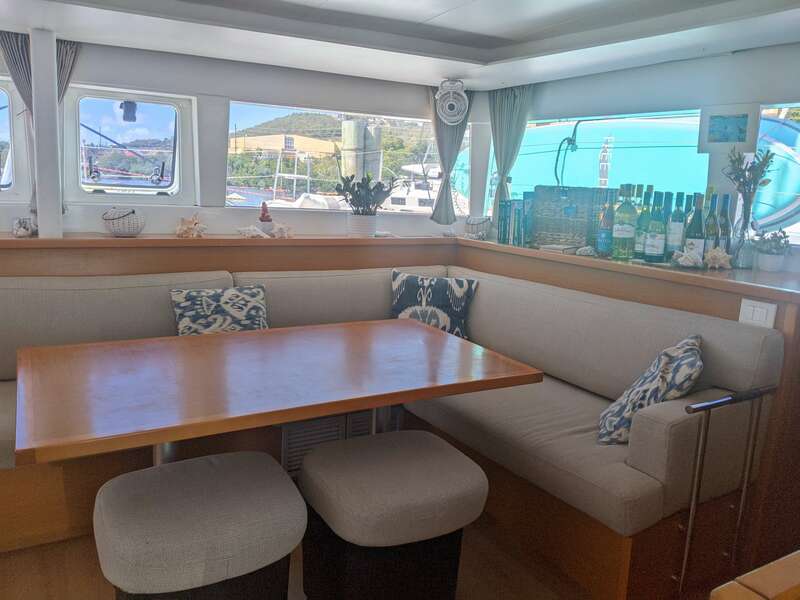 For such a spacious yacht, she is surprisingly nimble, and the gulping shaped bridge deck makes her very comfortable underway, no slapping or slamming aboard this beauty, and you can hop between islands in under an hour, or choose to spend longer under sail. 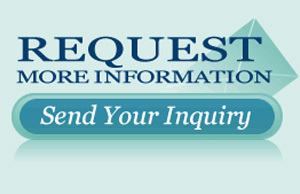 The choice is entirely yours during your cruise through the BVI. Our Luxury Crewed Lagoon 450 is truly a superb yacht where the idyllic scenery, changes with every blink of the eye, as you sail through nature's little secret, the beautiful island chain of the British Virgin Islands.